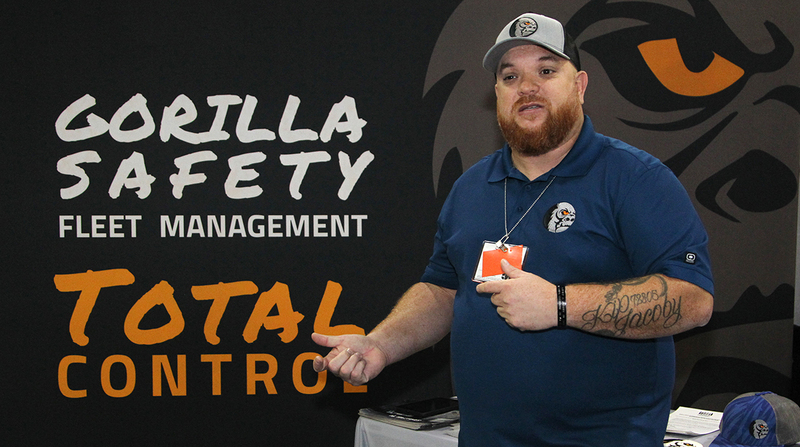 Gorilla Safety, based in Houston, develops cloud-based software that automates fleet and safety management. The app, called Gorilla Fleet Intelligence, allows shorthaul and longhaul fleets to maintain data on their drivers and assets. For example, a company can use the system to track the location of one of its cranes in a rural area. National Sales Director Miguel Cruz said the idea behind the app was to create a one-stop-shop for electronic logging device data and driver accountability. It offers connections to ELD information and driver behavior reporting measures that fleet managers can use to determine how well drivers are performing. Cruz said the app can help fleets analyze driver behavior because it records speeding, hard deceleration, incidents and fuel economy. “We want to empower fleet managers to be able to say ‘Who are our drivers who are having [the] best performances out there? Who are our drivers that maybe need a little bit more training?’ ” Cruz said. Drivers can use the app to report incidents, hours of service and mechanical issues. It also allows drivers to edit their logs, which they may need to do if they forget to list themselves on break, make a yard move or need to move their truck to a repair shop. As a safeguard, drivers need to note in the system why they make a particular edit. Gorilla Fleet Intelligence can help fleet managers know their needs and their drivers, according to Cruz. He said analyzing fleet and driver behavior also can help managers retain drivers. Cruz identified the driver shortage as the biggest issue in trucking. ATA estimates that the industry is short at least 50,000 drivers, and that number is expected to climb as older drivers retire.